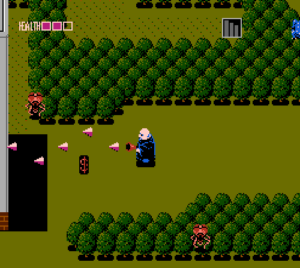 Fester’s Quest is a curious sight in the landscape of NES games based on movies and TV series. The Addams Family wasn’t particularly prominent during the late 1980s, and yet Sunsoft created a game all about it—and not just a predictable action game starring the members of Charles Addams’ macabre clan. 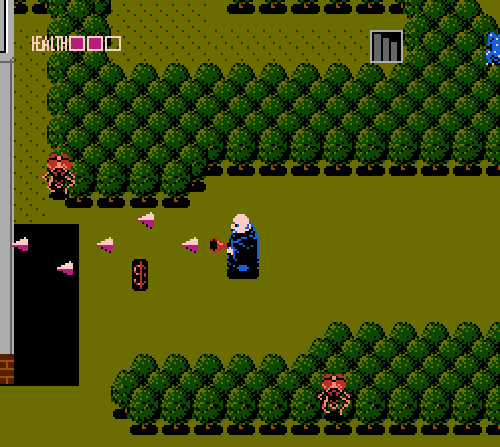 No, Fester’s Quest is all about Uncle Fester fending off an alien invasion and rescuing Gomez, with the rest of the family popping up to provide the pasty hero with potions, whips, and restorative vises. That alone would mark Fester’s Quest as an oddity, but there’s more to its reputation. It’s one of the toughest NES games around. Tougher than Battletoads. Tougher than Ninja Gaiden. Perhaps even tougher than that Captain Planet game. Fester can take only two hits (four if you uncover secret health boosts), enemies are relentless, and defeat sends Jackie Coogan’s finest television role back to the very start of the game. 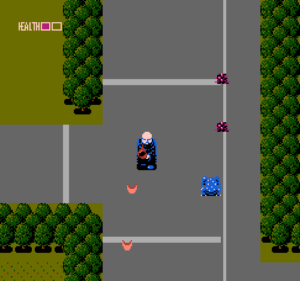 It vexed children of the NES era to no end, and many hate Fester’s Quest to this very day. I don’t think it’s a bad game, though. It feels a lot like the overhead sections of Blaster Master, and it has that sort of hyper-catchy music that Sunsoft always pulled off in their NES games. Plus it gave us this! A lot about Fester’s Quest puzzled me, so I went to the source. Richard Robbins was the game’s producer (and pretty much its creator), while Michael Mendheim served as designer as well as the illustrator for the game’s cover (and over a dozen other game boxes). Both went on to more popular things: Robbins worked on the Desert Strike series and Crüe Ball, while Mendheim was part of Battle Tanx and the Army Men series. The two of them also crafted the cult classic Mutant League Football. In fact, Mendheim and others revived it this year—check out the website! Before all of this, though, they were the minds behind Fester’s Quest. Kid Fenris: Fester’s Quest has a strange premise for a licensed game. 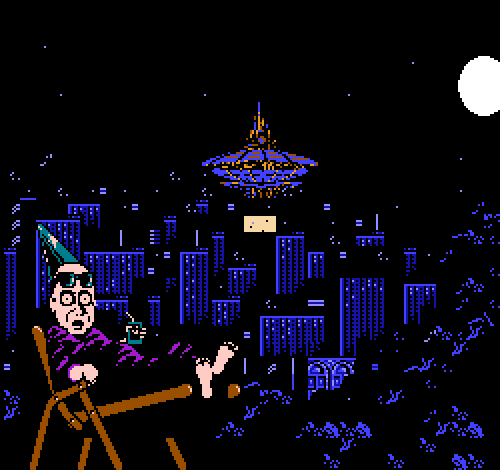 How did Sunsoft decide to combine The Addams Family and an alien invasion? And why make Uncle Fester the hero? Robbins: I had a dream, literally, for a game called “Uncle Fester’s Playhouse.” Pee-wee’s Playhouse was airing then. We came up with the alien idea as a quest, to save the family. Kid Fenris: The Addams Family seems to have been a fairly quiet property in the late 1980s. Why did Sunsoft option it for a game? Did they get it as a package deal with Platoon? Robbins: I was a huge Addams Family fan. I called Charles Addams’ widow Lady Colyton literally at a chateau in France and started a dialog. It took many, many expensive long-distance calls and a sort of romancing to convince this regal lady to let us do a game. Lady Colyton kept talking about a movie deal, which I thought was a bunch of baloney at the time. The Japan folks at Sunsoft were extremely skeptical and gave me a real hard time. They really questioned who would care about this really old weird TV show. Kid Fenris: Was Fester’s Quest at first intended to be a license-free game, or perhaps a Blaster Master follow-up? Robbins: Fester’s Quest was always to be an original. I wrote the storyline and named Blaster Master around the same time. 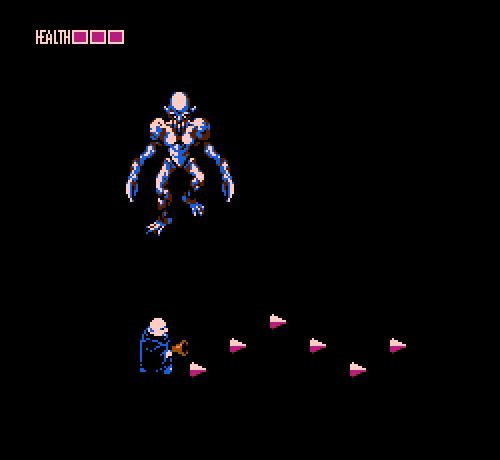 Kid Fenris: Many have pointed out how Fester’s Quest feels a lot like the overhead-view sections in Blaster Master. In a 2011 interview, Blaster Master creator Yoshiaki Iwata says that “The character designer for Blaster Master was also one of the main designers on Fester’s Quest, which probably explains some of the similarities there.” Do you think that’s the case, or do the two games share deeper roots? Robbins: Same team developed both in the same lab. Fenris: How did you end up working on the game, Mr. Mendheim? What was it like going from drawing game cover art to designing Fester’s Quest? Mendheim: Initially, I was an illustrator and graphic designer and my company did a lot of cover illustrations for games. I created some concept art for the game and then my role gradually expanded to helping design the product. I was an avid game player back then but as far as game design I didn’t know what the hell I was doing. I had never designed a game and this baby was my first. Richard Robbins provided a wealth of guidance and hand-holding on this project. He showed me the ropes. We created a lot of top-down maps for the levels, based on similar games that we both liked. Once I started getting into it, it actually came quite naturally. Kid Fenris: Was the game developed in Japan? If so, how did you work with the staff there? Mendheim: Yes, all the game development was done in Japan. 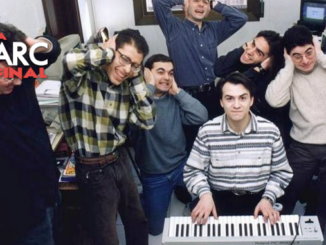 Back in the day, game development teams were very small, maybe six or seven people. I would receive builds in the US, which we would play and then write design and tuning notes back and forth. Every few months we would fly to Japan and communicate through an interpreter. One of the main areas of responsibility for us was trying to make sure the game stayed somewhat true to the Addams Family license. Culturally, the Japanese development team did not understand The Addams Family at all, nor did they understand the dark humor elements and this made it a bit difficult for us. However, everyone we worked with was very bright and kind. We all did the best we could under the circumstances. The game was on a very rapid development schedule so there wasn’t time baked into the schedule for much R&D or play tuning. The development was bang, bang—get it right the first time. Not the best situation to be cutting your teeth on as a first time game designer. Kid Fenris: Fester’s Quest has a reputation for being a very hard game, due to its tough enemies and a continue feature that sends players back to the start. What was your design process for the game? Was a password system ever considered? Mendheim: Oh man, you had to bring that up! Not having a password system was all my fault—a complete and idiotic oversight. The save system was overlooked by me because we had debug codes in our test builds which allowed us to jump from level to level and save our progress during the creation of the game. This was NOT included in the final code because it was not included in my design document. When the game was in QA being tested by a Japanese testing company, they complained it was too hard and it soon became obvious to everyone that the game needed a save system. Unfortunately, there wasn’t time to implement save points and then have the game re-tested because of schedule constraints. 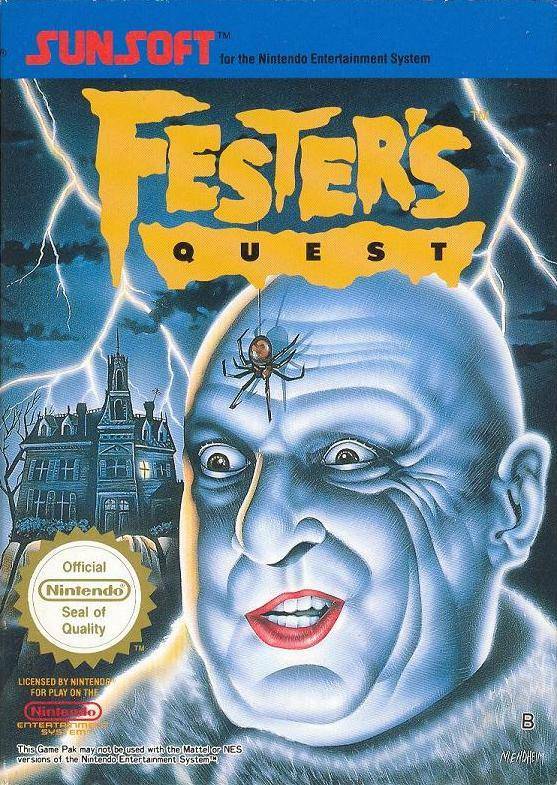 The game was scheduled and budgeted to make its quarter and the publisher did not want to delay release, so after a well-deserved reaming towards yours truly, they came up with a marketing strategy that marketed Fester’s Quest as one of the most challenging games ever made. That’s literally how they sold it. It was a terrible mistake on my part but the marketing angle helped sell the game and I learned from that mistake. Yikes! Kid Fenris: Were you involved in making the European version of the game slightly less difficult? Mendheim: No, but clearly they had time to fix the problem so they did. Kid Fenris: In an interview with Complex earlier this year, you mention that Fester’s Quest sold over a million copies. Did Sunsoft ever plan to make a sequel? 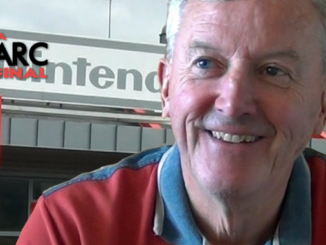 Robbins: I left Sunsoft for EA by that time, maybe we would have had I stayed. Kid Fenris: The code for Fester’s Quest contains graphics for one mysterious unused item and two unused bosses. What were they? Was the game going to have a two-part final boss? Robbins: Not sure on this one, goes way back. Mendheim: Yeah, I don’t remember this one either. I’m sure we had it in there but our dev schedule was really tight, so it was probably cut. Kid Fenris: How do you think working on Fester’s Quest influenced your later games? 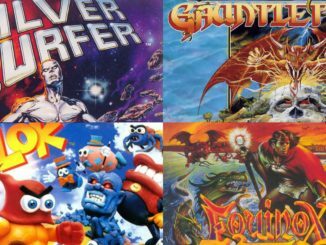 Mendheim: Fester’s Quest was design grade school for me, I learned a lot of things concerning how to develop video games, most of them being what not to do. The entire experience for me was new and took me completely outside my comfort zone. I did something I didn’t feel at all comfortable doing, made a million mistakes, but came through on the other side with a new passion. This game more than any other took me down the career path I have been involved in for over twenty years. It closed the door for me on graphic arts and illustration and opened the door for game development, which has been a long-term love affair for me. Thank you, Richard for giving me the opportunity. Last bit of text seems unrelated though – muts be an error.